Just a few that are our favorite! 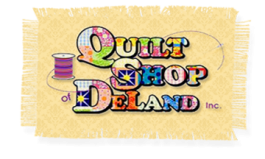 We carry a wide variety of fabrics...we don't list tons on the site...just those that we can keep a long time and go with our kits...always good to check the current newsletter for the most up to date selections. I love free motion quilting my own quilts...lap size and up, runners, placemats and more. 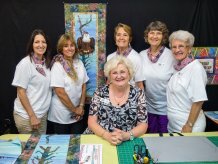 Let me share with you the easy techniques to get you quilting your own projects too! We are always looking for creative fun patterns that look intricate but........are so easy! The must-haves to quilt your projects!